The best J-drama tragic hero around. Whenever he's the main event, as in The End of the World and Cross of Roses, he seems to take most of the beatings (storyline-wise) for others, and he does an outstanding job of it. For those who think a real man's man is not supposed to cry, watch Mikami in the two works I mentioned and tell me if you don't find a reason. 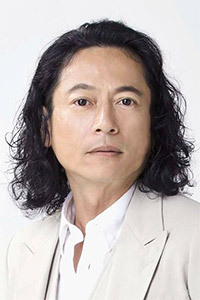 Old school (melo)dorama actor known for his seriously heavy roles, but it was a pleasant surpise to see pop up recently in a very upbeat light role as the "genie" in Proposal Daisakusen. Really brings the roles he plays to life and has excellent range.